The bill for San Francisco's Batkid day -- forever etched in San Francisco history as Nov. 15 -- is coming in at $105,000, according to a mayoral spokeswoman. 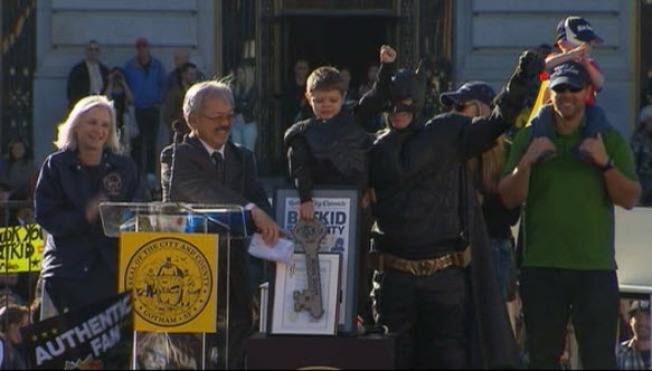 The biggest ticket item, according to reports, was the Civic Center celebration where Mayor Ed Lee handed Batkid, aka Miles, a 5-year-old battling leukemia, the key to the city. Mayoral spokeswoman Christine Falvey said the money came out of revenue from conventions held at the Moscone Center. It's the same pot of cash that funds the $150,000 Fourth of July fireworks show. Police Chief Greg Suhr said no police overtime was required for the events. That's not too bad for an event that drew about 12,000 volunteers and millions of eyeballs around the globe. All were watching the altruistic spirit that turned the city of San Francisco into Gotham City for a day, and gave a kindergartener in remission from cancer a memory for a lifetime. 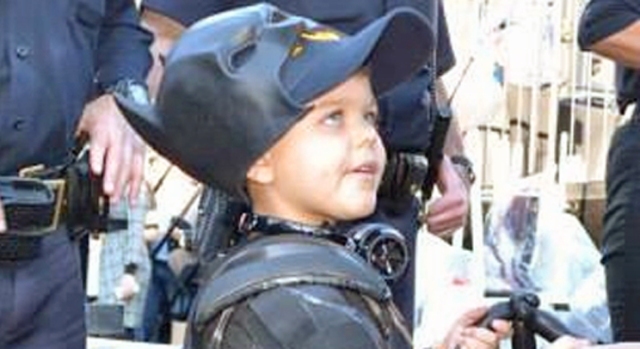 The Make-A-Wish Foundation granted Miles, who hails from Siskiyou County in Northern California, his dream of becoming Batman for a day. "The cops you saw were all on regular duty," Suhr told the Chronicle's Matier & Ross. "All we did was move them around from one part of the city to another, like we do with any number of events during the year."